New York, and the overall East Coast hip hop scene, has been in trouble for some time. Artists from the South have had nearly a fifteen year run on top of the game. In 2011, the West Coast made a comeback, while New York and the East Coast continued to suffer. Much like how basketball always searches for the next Michael Jordan, hip hop has been searching for the next rapper from New York to take over. French Montana has been making a name for himself since 2009. While he had been working with big names, French Montana did not begin gaining fame outside of New York until 2010. Beginning late in the summer of 2011, French Montana began releasing a series of songs and mixtapes, which generated interest around the United States. By the fall of 2011, it was clear who the future of the New York hip hop scene was. Sensing what was to come, several labels began making offers to French Montana. Diddy, who has promised to return Bad Boy Records to prominence, won the bidding war for French Montana. On top of having one of the biggest underground buzzes in the game, French Montana is also signed to Bad Boy Records, which has generated more interest in the Bronx rapper. 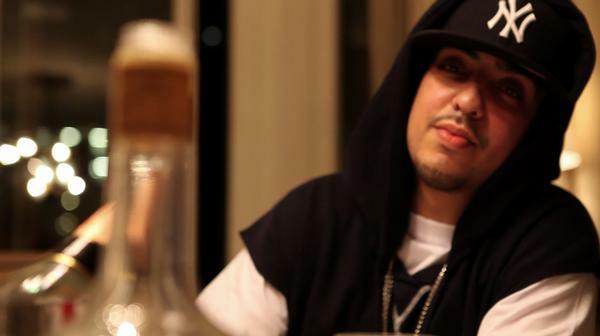 One day after his brief interview with VIBE, French Montana discussed his series of new projects with TheBoombox.com. Now signed to Bad Boy, French Montana has immediately started working on his debut album, Excuse My French, which will feature production from Harry Fraud, Lex Luger, Play-N-Skillz, and Billionaire Boyscout. French Montana said he is working with real producers, who respect his craft, as he will make good music for his fans. When the bidding war for French Montana began, he was approached by Cash Money Records, Maybach Music, Roc Nation, and Bad Boy Records. French Montana shocked fans when he decided to sign with Bad Boy Records, but French Montana revealed he felt more comfortable in the hands of Diddy, as opposed to working with the other labels. During the interview, French Montana discussed being a Bad Boy and his relationship with Diddy. French Montana praised Diddy, saying he will become the first hip hop billionaire, also discussing how Bad Boy needed him, while the other labels did not and French Montana also said he needed them. With a deal being beneficial to both parties, French Montana and Bad Boy Records reached an agreement.